Usually I don’t spend time reading a book that I know is going to be made into a movie. There are too many great books and too few great films. It is more logical to read a great book that has no chance of being filmed. However, when it comes to history of Wall Street I make exceptions. 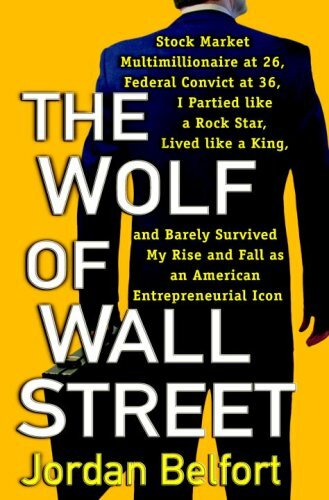 The Wolf of Wall Street is by Jordan Belfort. This is the true tale of a despicable character in Wall Street history. The book is chock full of stories of fraud, drugs, tax evasion, money laundering and numerous other crimes. How this guy only received 22 months of prison is amazing and unclear. The book ends before the trial and final sentencing.